The latest game in the Pokemon franchise has taken the world by storm and it’s helping Americans become fit again. It reminded people that being out, walking and exploring the city could be a better way to spent time than sitting on the couch. It’s effects on increasing American’s physical activity are tremendous, recent study found that Pokemon Go users from US made approximately 144 bilion steps more during a period of 30 days. Couldn't the designers have created a better interface, though? I discovered Pokemon when I was still a young kid – Pokemon Red, Blue and Yellow were always with me on my Gameboy. That's when the whole craze started: earning badges and exchanging Pokemon, watching Ash and Pikachu on TV, buying trading cards, and collecting the rare sparkling ones. Oh, how I miss those times. You know what's the best thing, though? My love for Pokemon hasn't quite waned, and it's been around 15 years already. So, fifteen years after my first encounter with Pokemon, the time has come for Pokemon GO. I think everyone has already heard about the game and how popular it is. After more than a decade of kids glued to their gaming consoles, they are back outside, missing dinners and ignoring their parents calling them back home. There's so much more going on outside. Niantic's latest creation offers everyone a unique opportunity to finally catch 'em all. As soon as I learned that the game was finally open to play, I downloaded the app at once. Sweet Lord... You can't imagine just how excited I was. The installation went quickly and smoothly, and the game's icon appeared on the screen of my Nexus. The icon itself could have been a bit "jazzier" because now it looks old-school. Nevermind, it's what's inside that counts, right? I launched the app and was greeted by Professor Willow. Frankly speaking, I didn't really know what to think about it. The game's creators decided that our first encounter of the game is going to be with an old chap who looks as if he was sponsored by Nike from head to toe. Just look at his glasses, or the glowing freeruns on his feet. On top of that, he's wearing a sleeping mat on his back. I don't get this choice. Why wouldn't they pick Professor Oak? After all, he's the good granddad, who introduced us to the world of Pokemon. I'd thought it would be him who would take us through the game's first stages. I was a little bit disappointed not to have seen him in the end. All right. Finally, my carefully created avatar appeared on modified Google Maps. I love the colours there – a sheer pleasure to watch. Besides that, the way the gyms and pokestops are marked is great too. So what's the game's interface like? It's actually quite ordinary. A clean design without too many distractions. It's very Summery because Summer is in after all. There are lots of gradients, because gradients are in too. Good but nothing to write home about. The question is: could they have done better? When you open the player's profile, you can see the general info about your avatar: what your current level is, how many XPs you need to level up, the start date, and the team you opted to join (go Instinct!). Apart from that, you can open a really cool feature – a journal of all your activities. To my mind, the designers could have laid the information out a bit better. Graphically speaking, it could be a bit slicker too. The exit button was placed in the middle of the lower regions of the screen. That's new. It obstructs a few important pieces of information, so I think it could have been placed somewhere else. The main button on the bottom of the home screen is the action button – a Pokeball. This button will take you to the main functionalities. You will also find settings and tips there. I reckon that it would be better, if the settings had been put in the player's profile. That would have made it more intuitive. The Pokemon list... Yeah, that's terrible. Just guess which CP belongs to which Pokemon. And what does the '#' icon stand for anyway? Why is it so similar to the exit button? The same goes for the Eggs. I'd prefer it if they were sorted according to the distance you need to cover for them to hatch. Sometimes, I don't even notice I got new Pokemon, because the 10-kilometre ones are swamped by loads of 5-km eggs. 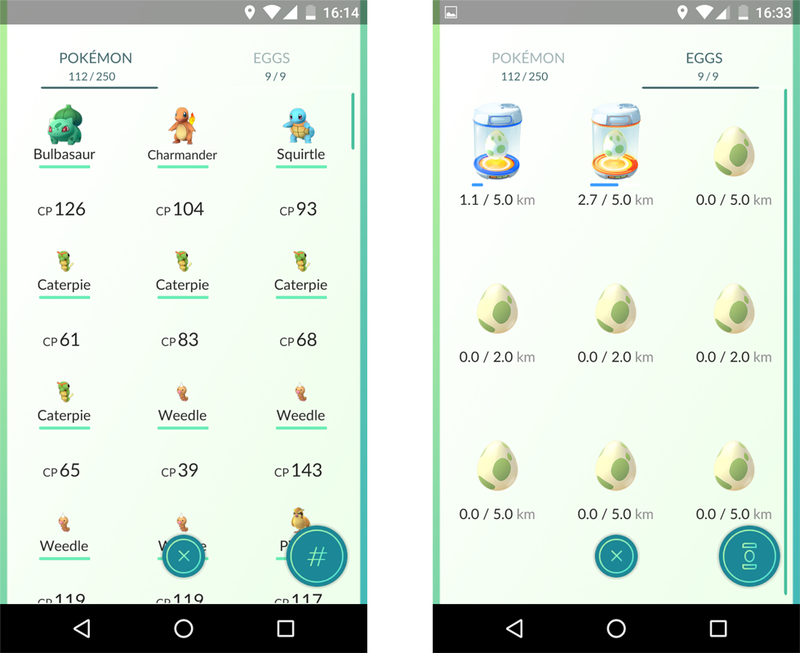 And just look at the incubator icon, which takes the place of the hash button – you can incubate an egg by choosing it and clicking "Start incubation". To add insult to injury, when you click the exit button, the game takes you straight to the home screen. There's no 'undo' option, you can only close the tab. It hurts. It all seems to have been put together in haste, with the designers not thinking it through properly. I do understand that the main feature of the game is searching and catching Pokemon, but the other bits are important too. If the interface were a bit more intuitive, using the app would be much more fun. This is the part I don't get at all. Why, Pokemon GO, why? Why does the nearest Pokemon that shows up on the right side of the list suddenly appear on the left, once I click on it? I'm just wondering why had this obvious blunder not been spotted before the app's launch. Honestly, I was really confused at the beginning – I couldn't tell which Pokemon was actually the closest to me. I hope they fix it in the next update. Of course, I could point out a few more things that could have been done better in terms of usability, but I won't. The most important thing about Pokemon GO is that people just can't stop running around glued to their smartphones, and catching whatever Pokemon comes their way. There are so many things the game's creators don't explain to the players. Does the circle which becomes smaller when you catch Pokemon mean anything? Does the size and weight of a Pokemon have any impact on their CP? What are the falling leaves for? When will we be able to catch rare species? Players ask each other dozens of questions like these on discussion forums, which increases the popularity of the app even more. Pokemon GO has blown everyone away, regardless of its drawbacks, which will hopefully be rectified in the game's future versions. Even people who hadn't come across Pokemon before can't stop catching the cute creatures. Whenever I move around town myself, I make sure the battery indicator on my phone shows 100%, and I set my route carefully so that I can go through as many interesting spots as possible. And all the trips to win Pokemon gyms on top of that! 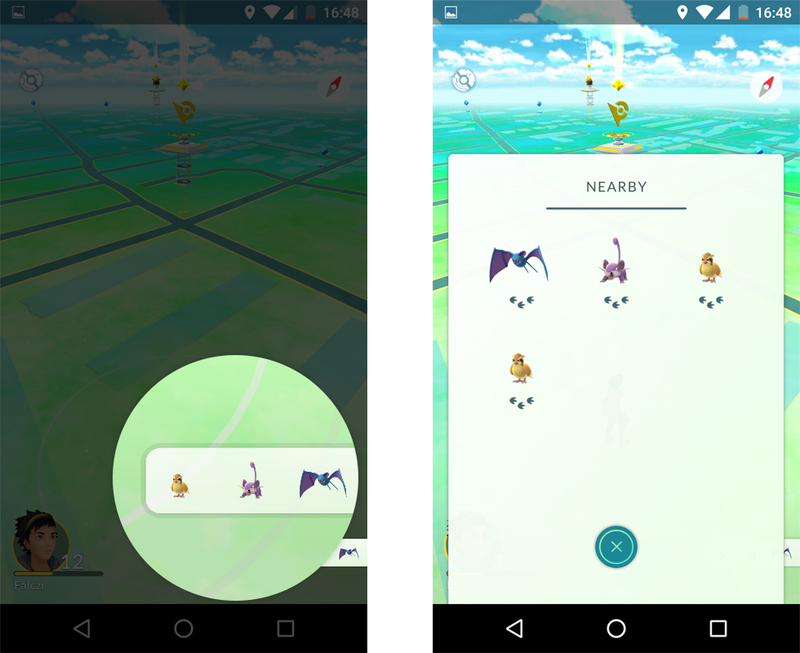 Niantic slowly introduce new features to Pokemon GO. Right now everything changes dynamically so when the changes stabilize you can expect my opinion once again. But right now, it's official – I've found a time machine to take me back to my childhood days. And I like it. 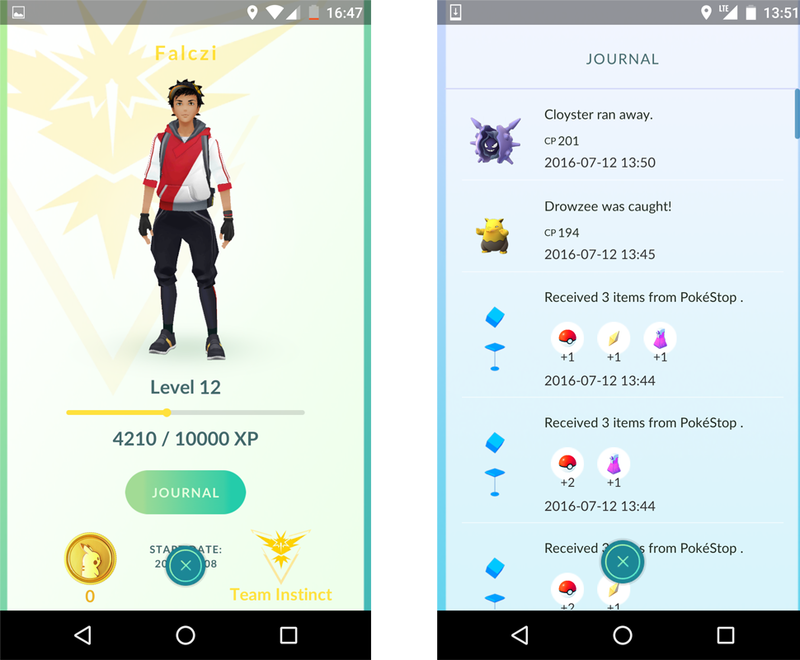 You should try Pokemon GO if you still haven't done it. Now please excuse me, while I go and search for Pikachu. See you later! Sign up for the Netguru’s design brief to be sure not to miss the next article.